This holiday season, all sea routes lead to the stunning island of St. Maarten for Celebrity Cruises’ first-ever Concert Series! Get a head start on your New Year celebrations with a smashing performance from one of the hottest female pop stars on the music scene, Demi Lovato. Receive the celebrity treatment with ultra-modern luxury amenities and create unforgettable memories in one of the best cruise destinations in the world. Once you set sail with Celebrity Cruises this December, all bets are off! Check out the four holiday sailings below and get your tickets NOW! Ports of Call: Kralendijk, Bonaire- Dutch Antilles, Oranjestad- Aruba, Willemstad- Curacao, Bridgetown- Barbados, Castries- St. Lucia, Philipsburg- St. Maarten and St. John’s- Antigua. Ports of Call: St. John’s- Antigua, Roseau- Dominica, Castries- St. Lucia, Bridgetown- Barbados, Philipsburg- St. Maarten, Charlotte Amalie- St. Thomas, U.S. Virgin Islands. 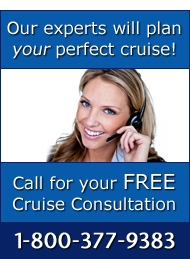 Give us a call today at 1-800-377-9383 for your pass to the biggest Caribbean holiday party aboard Celebrity Cruises! Space is limited so don’t wait!